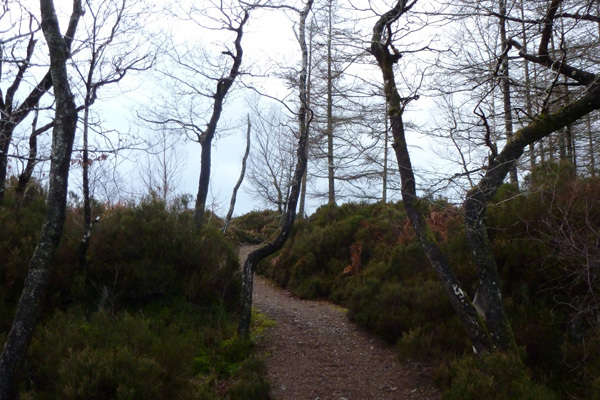 An occasionally steep, but well surfaced, gravel path meandering through native woodland from Ardery to the Garbh Eilean Wildlife Hide. 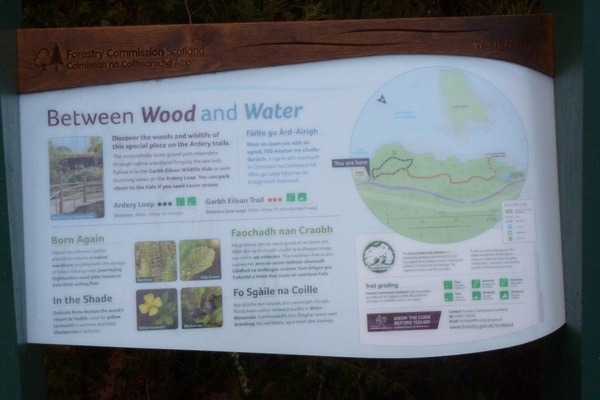 The walk takes you through oak and birch woodland with an understory of mainly heather and bilberry (Calluna vulgaris, Vaccinium spp and Erica spp) and deer fern (Blechnum spicant), and with an abundance of mosses and lichens. Other tree species included Scots pines, larch and spruce. The wildlife hide is a good place to see otter, seal, diving ducks and various coastal birds. There is a heronry on one of the islands in the loch. Also look out for white-tailed and golden eagle. There are picnic benches at the car park at Ardery and also access to the loch side. There is another car park further west along the A861 closer to the hide with disabled parking facilities, however, the walk from Ardery is very pleasant and highly recommended. 1. 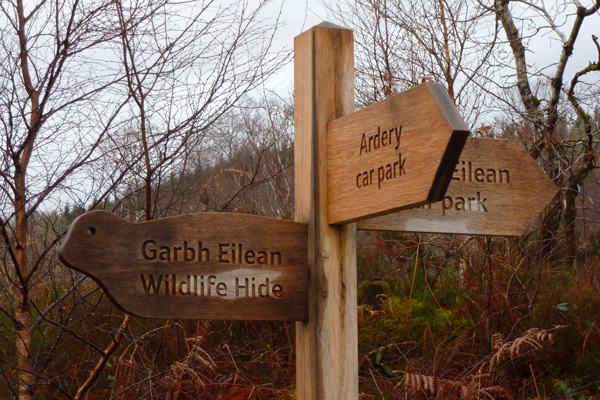 Park at the car part at Ardery off the A861 and take the way marked path through mixed woodland to the hide keeping right with the path diverges. There is a fairly steep stepped ascent but this effort is rewarded by fine views over Loch Sunart. Descend towards the hide, turning left when you a reach a wider path (an all abilities route from the nearby car park). The path joins a boardwalk heading towards the hide. 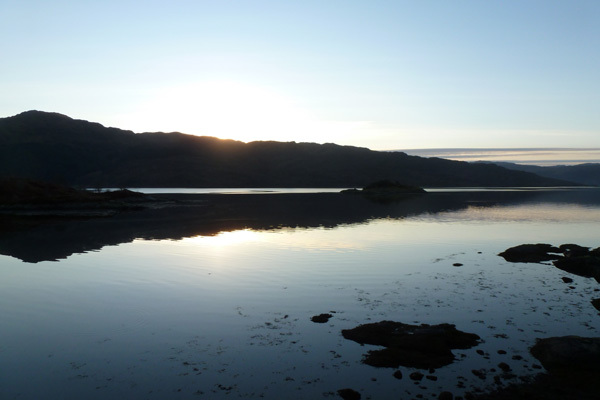 The hide affords good views of Garbh Eliean and the surrounding small islands. 2. 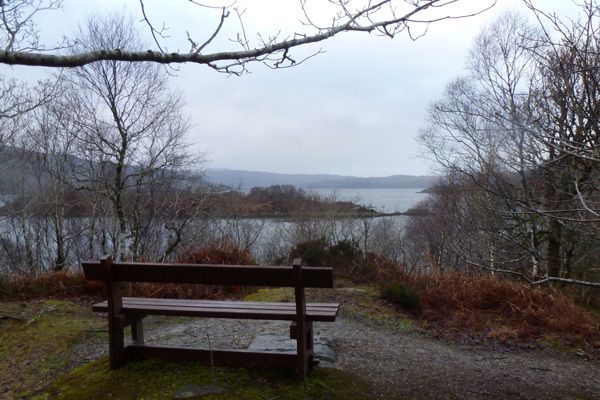 Return by the same route, turning right where the path diverges for an alternative loop which takes you to a viewpoint over Loch Sunart and where there is a well placed bench. A great place to admire the views or have coffee break. 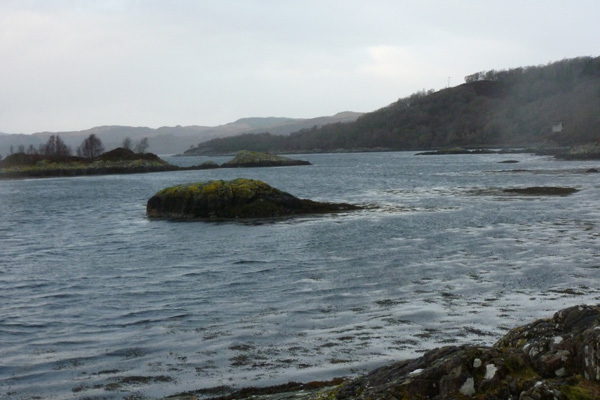 It is also possible to follow a small track down to the loch side from the bench where there are good views across Loch Sunart to the wildlife hide. However, please take care to be quiet to avoid any disturbance to the wildlife along the shoreline.